Street barbers are no longer as common in Shanghai as they are in other parts of China, so I was delighted to see this set-up, inside a laneway just off Huashan Lu yesterday. Tucked between a flight of stairs and a grocery store, the barber has great natural light and everything he needs at hand. He's even brought his bird out for company. 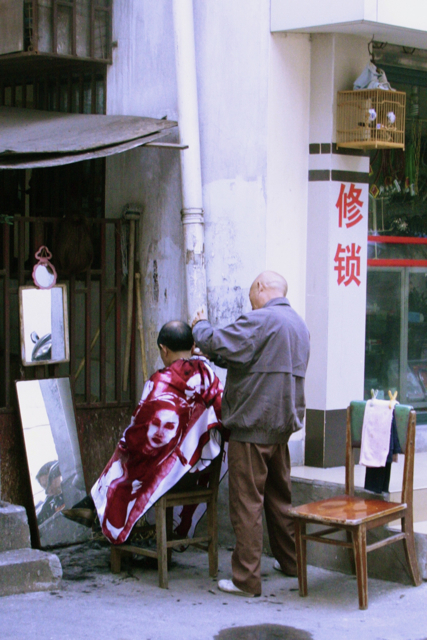 Price of a haircut- 8 yuan ($1.20).